I saw a post about home made Nutella on Pinterest (sorry I can’t find the original pin!) and it piqued my interest. From my knowledge there isn’t any thing chemically horrendous in Nutella, however I do question the amount of sugar that is in it. More than anything, it is the flavour that I want to play with. I can eat Nutella right from the jar, but I normally prefer dark chocolate to milk. Is is possible to make a dark chocolate Nutella at home? Yes. Oh my god yes. I used 100g of hazelnuts and lightly roasted them. 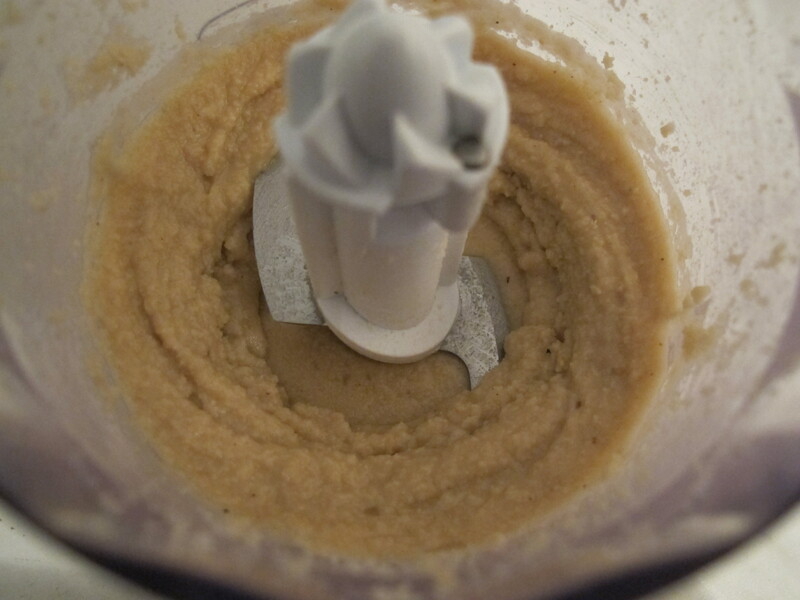 After waiting for them to cool I put them in the hand blender and whizzed them until they turned into butter. I know it will seem like it is never going to be more than crumbs, but trust runawaykiwi and keep going. Soon it will be beautiful hazelnut butter. Melt your chocolate in a glass bowl over a pot of boiling water. 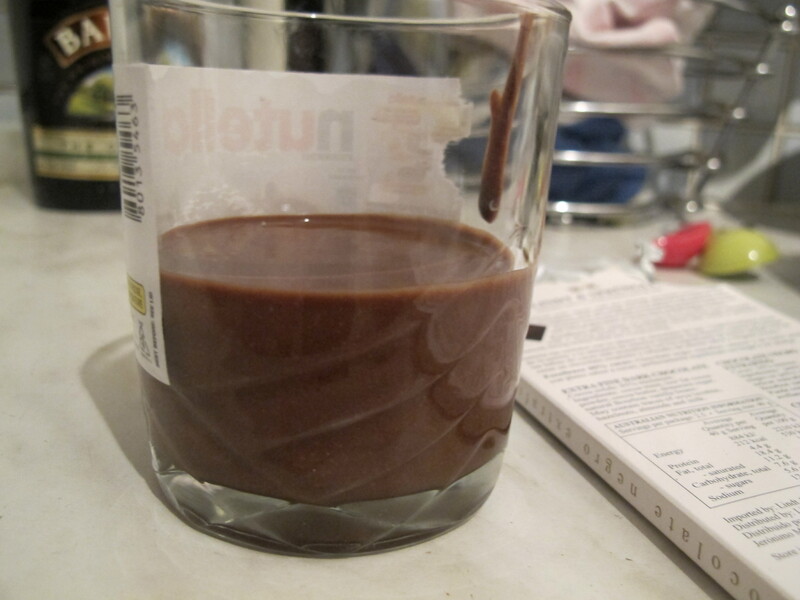 I used 30g of 85% proof chocolate – beware only use chocolate that you like the taste of (if you like milk – use milk). Then add the melted chocolate to the butter and whizz. 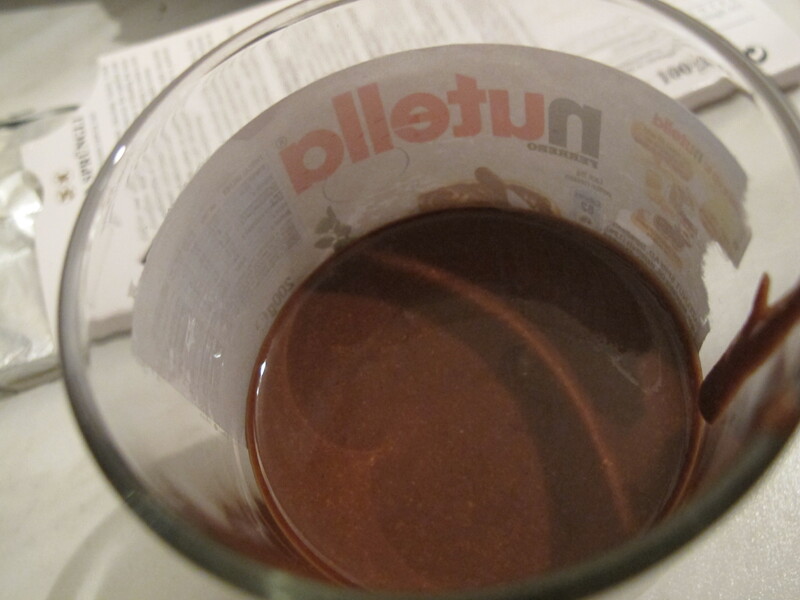 It will be VERY liquid, but just throw it in the fridge for a bit and it turns into magic home-made Nutella. I.e. like Nutella except with chocolate flavour up the wazoo. And yes, I totally put it in an old Nutella jar so NO ONE WILL KNOW. The recipe I saw on Pinterest also added sweetened condensed milk, but I didn’t have any in the cupboard…so nope. To be honest, although it would make it more mourish, the current deep flavour is ideal.